Home > Honey & Skin Care > All-natural Honey, Container (1 lb) / 16 0z. 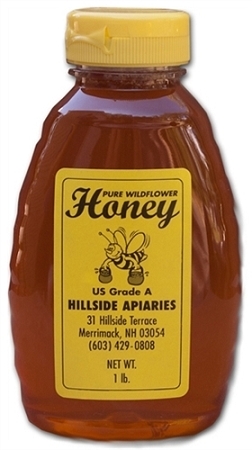 All Natural Raw Wildflower Honey from Hillside Beekeeping Supplies. Honey is a healthy sweetener to use in your tea, desserts or cooking. Our bees collect nectar from area gardens, farms and orchards. We have many sizes available from 2 oz to 5 lb containers. I bought this honey along with the Orange Blossom honey. I eat it every day. This honey has a sweet smooth taste. I will be buying both honeys again. I would love to see some fall harvest honey, as i also love the darker honeys.